This accessible participant's guide will enrich the experience of anyone using the Faith Hope and Luck individual and small group DVD study. It adds depth to Andy Stanley's lively, 5-message program on the transformational power of faith, and the need for maintaining one's confidence in Jesus Christ amid the ups and downs of daily life. 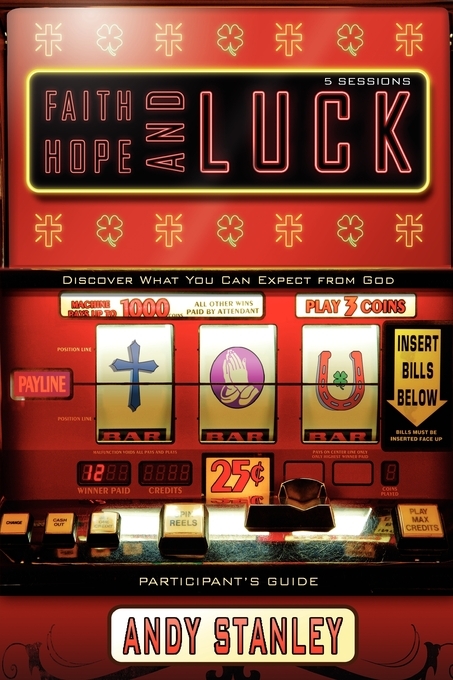 Faith, Hope, and Luck Participant's Guide by Andy Stanley was published by Zondervan in August 2009 and is our 38412th best seller. The ISBN for Faith, Hope, and Luck Participant's Guide is 9780310324225. Be the first to review Faith, Hope, and Luck Participant's Guide! Got a question? No problem! Just click here to ask us about Faith, Hope, and Luck Participant's Guide.